Jan L. - sound design, programming arranging, lyrics, vocals, mixing, mastering, video editing, web design, cd-cover creation. Once upon a time "the story of Noisuf-X had begun"... exactly in 1988 when X-Fusion used his legendary C64 for combining electronic sounds with organ-sequences and vinyl-elements. Two years later his C64 was detached by Amiga 500, developing to 4 tracks and 8 bit. The first project was born, but the way that had to be gone until Noisuf-X came into being should be long. During the next years X-Fusion created 10 albums by his own without a real deal. He extended his equipment over and over again and even got several gigs at Techno-parties such as the Innovation Rave where he showed his abilities live in front of almost 2000 fans. 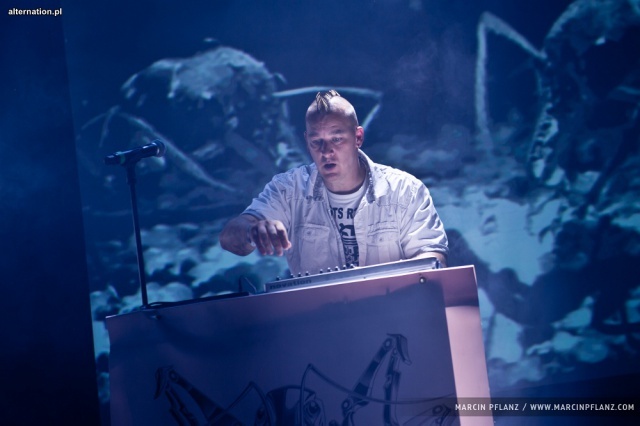 X-Fusion's style of music evolved into the style of Techno/Acid/House just to the year 2000, when his first tracks including vocals were produced. 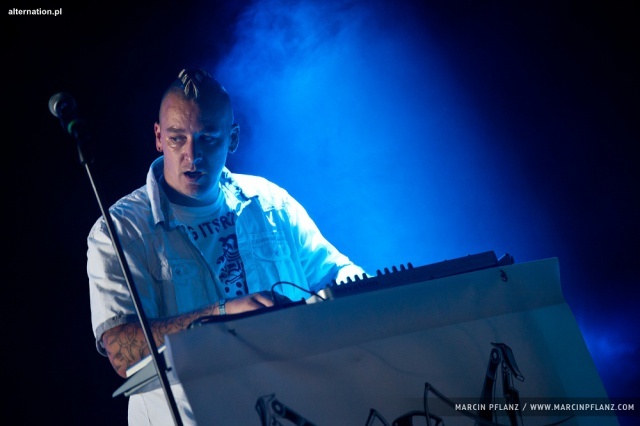 Noisuf-X produced some Industrial/Noize-Tracks and signed a contract at Pro-Noize/Dark Dimensions. The first official release was the track "Happy Birthday" on the Alfa-Matrix-Compilation „Bunkertracks”. The Noisuf-X - Album "Antipode" was released in summer 2005 and the second release, the "Tinnitus EP", will be out in september 2006. So it was and now Noisuf-X creates its own style (something like a hybrid of industrial, noize, electro and ambient music) with its published "Tinnitus EP" and does not need to be hidden within the shadows of X-Fusion anymore. This EP was extremely successful within the clubs and also highly scored the charts. It was more than expected for example GAC-Charts Position 04 or even the 3rd position within the DAC-Charts. But this is just the beginning of what is going to come: meanwhile all workings on the album "The Beauty Of Destruction" are in process. Noisuf-X likes to surprise and this is the reason for, in opposite to X-Fusion, performing Noisuf-X's music live on stage. Its background is clear, its work and releases described, but what stands behind Noisuf-X and how does it sound? The project's definition is simple and clear: An apocalyptic and fearful view of the world is what Noisuf-X, the side-project of X-Fusion, is dealing with. It describes a cold and hopeless atmosphere musically with harsh distorted beats, experimental sounds and pushing sequences. The recurrent soundstructures and its simple monotony build a catchy opposite to X-Fusion.